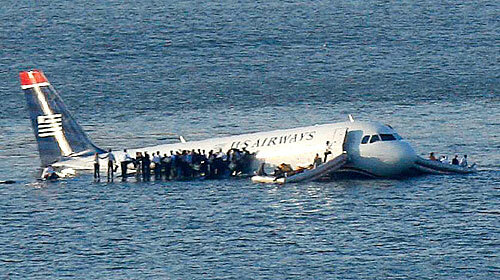 WHEN AVIATION INCIDENTS OCCUR THEY OFTEN RESULT IN FATALITIES THAT LEAVE FAMILIES TORN APART. SMALLER, LESS SERIOUS ACCIDENTS INVOLVING PRIVATE AIRCRAFT OCCUR MORE FREQUENTLY THAN PEOPLE REALIZE BECAUSE MANY OF THESE INCIDENTS ARE UNREPORTED. AFTER AN AVIATION ACCIDENT, IT IS IMPERATIVE THAT YOU IMMEDIATELY CONTACT AN ATTORNEY SKILLED IN THE REPRESENTATION OF PLAINTIFFS IN AVIATION IMMEDIATELY. THE DEPEW LAW FIRM OFFERS EXPERIENCED AND KNOWLEDGEABLE LEGAL GUIDANCE IN A PROFESSIONAL ATMOSPHERE. CRAIG DEPEW OF THE DEPEW LAW FIRM IS A LICENSED COMMERCIAL PILOT AND HE HAS REPRESENTED CLIENTS THROUGHOUT THE UNITED STATES WHO HAVE SUFFERED CATASTROPHIC INJURIES OR THE WRONGFUL DEATH OF LOVED ONES AS A RESULT OF AVIATION ACCIDENTS. OUR GENERAL AVIATION LAW PRACTICE HANDLES ACCIDENTS INVOLVING PRIVATE PLANES, CHARTER PLANES, COMMERCIAL AIRLINERS, MILITARY PLANES, HOT AIR BALLOONS, AND HELICOPTERS. If you have lost a loved one in a plane crash, or if you are a plane crash survivor, you will probably be contacted shortly after the accident by someone from the airlines' insurance company. He or she will make you a settlement offer and ask you to sign a document. Do not sign any paperwork. You could be signing away your rights for filing a future claim against the airline insurer, the airline, the plane manufacturer, or the company responsible for maintaining the airplane. If you have any legal questions regarding an injury or death related to an aviation accident, Contact The Depew Law Firm today for a free consultation. We are truly committed to achieving fair and just results. Our experience will prove beneficial in valuing your case, assisting in determining if any settlement offers are fair, or deciding whether you should proceed to trial.